Literacy is a broad term used to describe skills related to reading and writing. While much of the focus on literacy takes place in elementary school, there is a need for continued development of skills at all grade levels. A major component of literacy is reading comprehension, or the ability to make sense of the words on a page. Students need to understand different kinds of texts across many aspects of life including work, home and family. Instead of having students take quizzes or tests after reading a novel, consider allowing the students to create the quiz. Ask each student to choose a short story from your approved list. After reading the story, challenge students to create a comprehensive quiz about the story. Quizzes should be no less than 10 questions and no more than 20. Questions should cover a variety of topics such as characters, plot and theme. Once the quiz is complete, students should create an answer key. Assign the selected stories as homework, or read and discuss as a class. Use the student-created quizzes to gauge individual understanding of the story. A test is meant to see what a student has learned after studying specific materials. This activates a student's ability to remember information. Creating a quiz will make students think more specifically about what information was important and how to examine whether someone else has learned that information. Libraries and bookstores across the country are taking part in this literary trend. The concept is simple; readers must select a book based only on a fake dating profile created using its content. There are no cover images, author names or plot summaries visible. This take on a trendy activity provides a fun way to get students focused on understanding characters and reading outside of their comfort zones. Ask each student to think of a book they would recommend to a friend. Supply reading lists if necessary. From the chosen book, each student should then write a character summary of the most villainous character. Using the character summary, students should create a dating profile of the villain. Remind students that a dating profile should entice a potential mate so they will need to put a positive spin on any negative traits. Write the completed dating profile on the piece of card stock. Illustrations and creative text techniques are allowed to enhance this new cover for the selected book as long as they do not include an obvious clue as to the villain's identity. All students should place their completed book covers at the front of the room. Choose an order and have students select a character they would want to go on a date with. The book they select will be the next reading assignment. A student will need to consider all context clues if he hopes to find a book in his preferred genre. 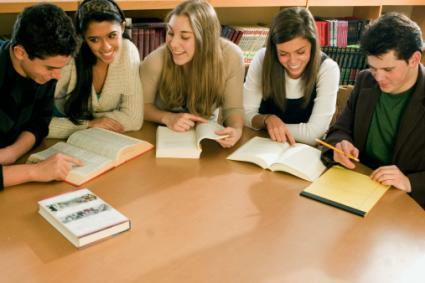 Active listening skills are an integral aspect of adolescent literacy. Listening not only involves hearing a word but also interpreting its meaning. Many children's stories and fantasy books have a map of the fictional world included. These maps can provide a fun backdrop for a unique listening activity. Students will be challenged to hear their partner above all others and interpret their words into an image. 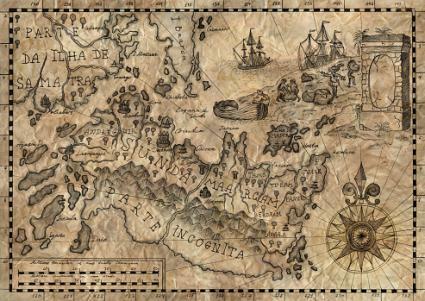 Select two to five 'other world' maps illustrated in popular fantasy books, like Winnie the Pooh or Lord of the Rings. Prepare a step-by-step script of directions for drawing each map. Separate the class into pairs. Give one person from each pair the script and the other person a blank paper and colored pencils. It is suggested that no two groups have the same world. All pairs should start the activity at the same time. This will create a loud atmosphere full of distractions. To start, the script reader should begin telling his partner the directions in the correct order. The person with the paper will need to listen to his partner, follow the directions, and create a world map. Once all maps are complete, groups with the same script can show a comparison of their world map. Open a discussion about what part of the activity was most difficult and why. Viral videos, countless social media platforms, and entertainment flood the lives of teenagers today. Incorporating these timely sources into literacy lessons can entice teens to participate and help them expand their knowledge to real life. Clip or print funny images from the internet or magazines. On the back of the image write a genre such as romance, dystopian, science fiction, comedy, drama, or mystery. Give each student one image and a few minutes to examine it. Instruct students to give a brief speech describing their image as it pertains to the given genre. For example, an image of a kitten wrestling a rabbit with the word 'mystery' on the back might warrant a speech about how the two animals came to be fighting or leave the audience wondering who won. One by one, ask students to stand in front of the class and talk about their image for five minutes. The speech must include character, plot, and setting descriptions. After each speech, have the class guess what genre the speech would fit in. The goal of this activity is to give students some light-hearted practice at speaking in front of a group. Students will be challenged to come up with information on the spot, but the humorous nature of the photos should help keep stress levels low. One popular social media site is Twitter, an online platform where people can share ideas in a micro-blogging format. The limited character count of tweets challenges writers to get a point across in a concise manner. Preparation: Assign a poem to each student. Have the students read the poem before the activity. Familiarize the class with the guidelines for tweeting, namely the maximum character count of 140. Students must first rewrite each stanza of the poem to fit into a single tweet while still conveying the tone, mood, and point of the stanza. Once the entire poem has been rewritten as a series of tweets, students should create two hashtags to accompany the tweets. The hashtags should relate to either the theme, title, or author of the poem. Teenagers live by their soundtracks thanks to inventions like earbuds and iPods. Incorporating this love for music into a lesson about comprehension and writing can be meaningful. Students will need to interpret the meaning behind song lyrics, specifically if there is one controversial message that stands out. Planning: Ask each student to choose a favorite song and submit it ahead of time. Check lyrics for availability and appropriateness before approving students' song choice. Present each student with a copy of the lyrics for their chosen song. Ask each student to write a literary analysis essay using the chosen song. As an added learning experience students can be asked to present their song and analysis to the class. Vocabulary lessons can be incredibly dull and boring when they involve memorizing lists and reciting them back to the teacher. 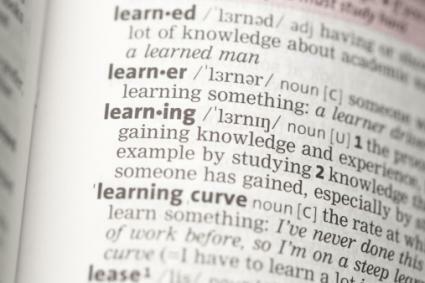 An extensive vocabulary can help students sound more professional in adult settings. Active lessons have the ability to gain and keep the attention of teenagers. This age group is best suited for an active in-class game because they should be able to keep on task while having fun. Use a permanent marker to create distinct sections on a beach ball, create as few or many as needed. In each section, write a command dealing with the use of a vocabulary word. Some examples would be: change to an adverb, define the word, use it in a sentence, think of a rhyming word, and think of another word with the same root. Instruct students to sit on their desks or have all the desks arranged in a circle before game play. Write a vocabulary word on the white board, call out a student's name, and throw her the ball. The student should then shout the answer to whichever prompt is closest to her left thumb as it pertains to the word on the board. If the student answers correctly the teacher should choose a new vocab word before the student calls out a classmate's name and throws the ball to that person. If the student answers incorrectly the same vocab word is used and the ball is thrown to the next player. Continue game play until all vocabulary words have been used or time is up. Comic strips offer a place to showcase an entire story in very few words. This activity will require students to tap into their creativity and vocabulary skills in rewriting a scene from a play. Assign a scene from a play to each student. Instruct students to create a comic strip inspired by this scene. The purpose of the comic should mirror that of the scene, but the tone should be humorous as that is typically how comic strips are written. The basic idea is to capture the essence of the scene in images and only a few choice words. No text from the scene should be copied in the comic aside from character and location names. Display and discuss the comic strips as a class. What were some of the most effective ways a particular scene was portrayed? Promoting literacy involves covering a wide variety of skills related to the use of language. Help high school students prepare for successful adulthood by incorporating different activities that include each of these skills.